To say that I am a Starbucks addict would be an understatement. I visit at least twice a week and spend way more money than I should on my custom coffee drinks. I like to think that I've tried most of the menu and today I compiled a list of my top five favorite drinks for the summertime. This is my favorite tea from Starbucks. I've tried all of the infusions and while I liked the pineapple black tea lemonade, the peach one was just so refreshing! I like to get it fully sweetened because I think it brings out the peach flavor more than when it's unsweetened, but you can play around with it and see what you prefer. Iced coffee is one of my favorite drinks from Starbucks. I usually take mine with coconut milk and a couple pumps of sweetener. I order the three of these pretty much interchangeably, but I prefer the Americano when I want a lot of coffee (a venti americano is cheaper than the others), a iced coffee when I want something sweet (I always get iced coffee sweetened to reduce the bitterness), and cold brew when I need the caffeine. I am not a huge frappuccino drinker, but if I'm going to have something blended it's a java chip frap. I love how it has texture and is chocolate filled, but it does have a lot of calories and is not something I drink frequently. I try to stay away from lattes and milk based drinks in the summer because I find that it leaves me feeling not my greatest, but there is something about a coconut milk green tea latte that I really like. It's refreshing, slightly sweet (the matcha itself is sweetened so you don't need the extra sweetener), and still gives me a caffeine boost that I crave. This is the most aesthetic drink on the list! It is fruity and refreshing, but can be a little juice-like if you get it sweetened. I really like all of the starbucks iced teas, but I have to drink this one as a lemonade otherwise it's not my favorite. 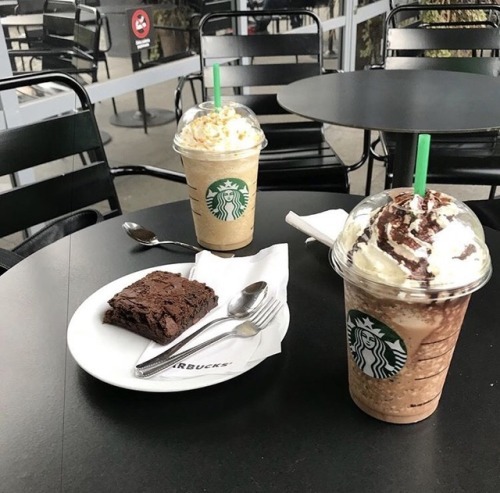 Let me know what your favorite summer starbucks drinks are in the comments! I'm sure some seasonal drinks are going to be coming out in the upcoming months, but of the permanent menu items, these are by far my favorites for the warmer months!